Kel-Aire technicians provide full-service furnace repair, installation and inspection services, or you can choose from one of our many maintenance service programs to ensure yours is operating at peak efficiency. Like with all heating systems, furnaces can be dangerous when not properly cared for. This is especially true for gas furnaces, which are the most common in the United States. When not maintained, they can cause gas line leaks, fires, carbon monoxide poisoning, and much more. That is why Kel-Aire’s HVAC repair and maintenance services are crucially important. Whether you have an electric furnace or gas furnace, Kel-Aire offers full-service inspections and repairs to properly and safely maintain your furnaces. 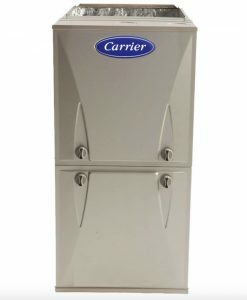 If you are interested in having one installed, we can help you in deciding what heating system is best for you and your home or business. Contact us today!